Motomachines sent me an email stating they have a new website. Anyway, these were listed as "New". Figured I'd post for those that may be interested. I'm not sure I like them, with the handles perpendicular to the bike. Just looks weird to me. Then the price DEFINITELY threw me off! But I know some of you guys are rich! The Xceed case by Hepco & Becker is the new benchmark for aluminum cases. Hepco & Becker have taken 40 years of experience, high quality aluminum, impact resistant plastic, and what appears to be magic to craft the most elegant case in all the land. 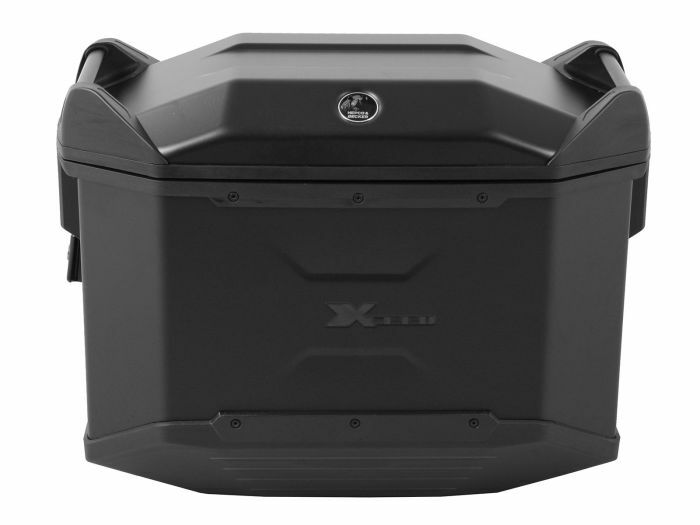 No Matter what motorcycle – you can’t go wrong with this case. and i am not rich.. Does THAT price also include them coming by to install them...? $480 for ONE case? That's more than Givi, if I'm not mistaken. I paid $700 and change for my OEM's. But $480 x 2 plus whatever the cost of the brackets...man, that's getting up there!